Cheers to ah-mazing New York Times reporter Jan Hoffman for her recent article on parenting gender nonconforming kids. If you haven’t read it yet, check it out: “Boys Will Be Boys? Not in These Families” Share it via The New York Times site and/or leave a comment to support the writer and to let people know that this is an important issue that we want and need to read more about. 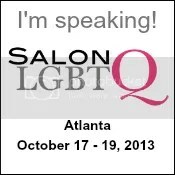 Oh, and look for the Raising My Rainbow mention. Muah, Jan! We heart you! This week I received a comment on one of my older posts titled “Teeth Cleaning and Tiaras.” The post was about C.J.’s trip to the dentist and the tiara that he selected out of the treasure chest post-visit for being a super-duper patient (which, at the age of four, means that he didn’t bite anybody when they put their hands in or around his mouth). Anyway, Raising My Rainbow reader Dannie wrote: “encouraging? or allowing? what is the difference? What do you think of the comment? Is Dannie implying that my allowing C.J.’s gender nonconforming behaviors is okay, but encouraging them and him is excessive and not advisable? That’s what I take from the comment. Which made me think. My final thought? If you can turn encouraging a child into a bad thing, something is wrong with you, not me. What do you say? C.J. 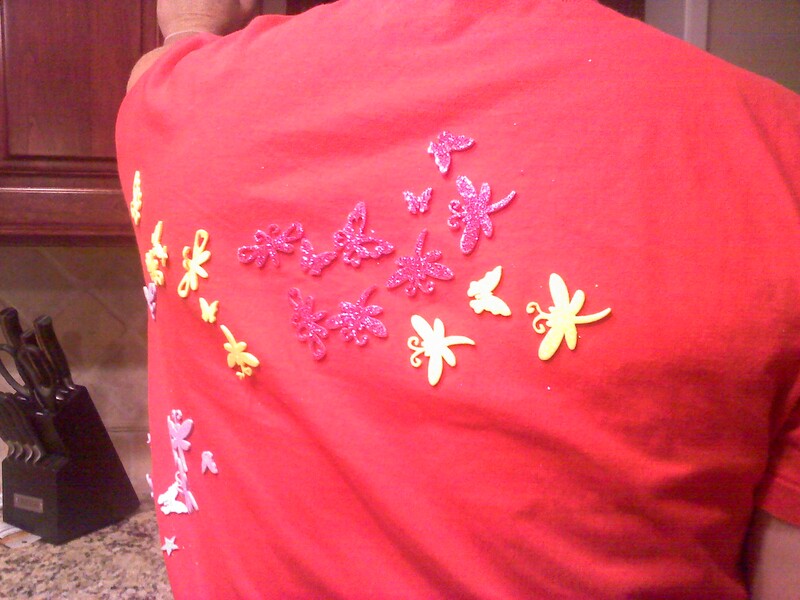 : "Daddy, can I make your shirt pretty?" C.J. 's Dad: "Sure" Love the glitter foam stickers. The best part? C.J. 's Dad forgot they were back there and wore the shirt all day. Thanks for all of the comments you’ve been posted. C.J’s Dad and I read every single one, repeatedly. Know that! We’re thankful for every single one, even those like the one above. Happy Father’s Day to C.J.’s Dad, a man who was born to be father and the best husband ever. And, Happy Father’s Day to you too. That’s very subjective. In a kind of extreme example: If C.J. wanted to steal the toys he wants from the toy-store and you helped him planned it, you’re encouraging him. And he’s a kid. So yeah, encouraging a child CAN be a bad thing. It depends on what the child wants to do. Of course encouraging a child to be who s/he is can’t be bad at all. I read encouraging more as pushing him into the behavior opposed to encouraging him to be himself. I’m obviously late in coming to this party, but I would like to tell you both how special you really are. There are so many people who have one supportive parent OR another, yet CJ has two. That’s really awesome. It’s of course a stretch in this culture for any parent to smile upon, much less accept that your boy chooses the tiara over the truck. But the question to me is why and how we’ve come to that stretch. That we encourage our girls to be strong and do boy things, even encourage our girliest girls to get out there and play baseball or whatever yet expressions of interest in girls things of our boys is met with quizzical looks etc. That is just plain wrong, IMO. so there appears to be a rigid conformance expectation for boys, yet the ones for girls have eroded rather quickly. they eroded because it was the right thing to do. So how are we to move past these same restrictions for boys? I believe you both are the start of that process, and all power to you for that. We will all be the better for it. Oh, and BTW, I find it interesting that immediately the thought comes to mind that a boy who likes girl themed stuff WILL (or rather IS) be gay and is treated as such almost immediately, yet the obverse for a girl is that she’ll be a powerful leader or whatever, but lesbian doesn’t come up at all unless of course the lady crosses some lines in either looks or mannerisms in age, but even then there is a question before society’s pronouncement. The boy doesn’t even get the benefit of doubt. Sad really. And the worst part is most people don’t realize they’re doing it. It’s ingrained from an early age: you can tell from CJ’s more judgmental peers that they’ve already absorbed these divisive messages and they Know Their Place, and may even feel the need to police the expressions of those who step out of line. In short, gender policing of boys and girls alike are reason enough for feminism’s continued relevance (as well as its alliance with queer rights, which I admit it hasn’t always been good about, but I as a queer-identified woman intend to help change). I do agree with you Angela about the basis of all this is probably rooted in misogyny. So, in the early years of the feminist movement, the Steinhams, the Friedans etc, they were fundamentally right in their angry push, which unfortunately also alienated alot of people, but without that alienation I don’t think the movement would have had that much effect, because it needed that passion to achieve. What I would like to see now is the feminist movement be more inclusive for all people, as you mentioned, men and women and actively promote the freedom to be who you want to be, how to be expressive to what you’d like. I believe that this is where it could be best generated from. There is no men’s movement to speak of, and the one’s there are are held back by their own fears of criticism by what you mentioned, and will never gain a foothold to the extent that I believe the feminist perspective could generate. I really think it’s time for the feminist leadership to see that this fight at this time, while beginning for and about women, is really more for all people, and how that might further propel the women’s position to their rightful place that they wanted to gain in the first place, and they’re not there just yet. I think they have to take up this flag. Taking the misogyny away would also, perhaps, take away the need for the police-ing as you say. Misogyny, by the way, in my use of it here, is not hatred for women, as it’s usually defined, but the derision for womanly things and expression. It would I think ensure that while not understood completely by our culture at large, at least gender fluidity would be accepted without alot of disruption. thanks so much for sharing your viewpoint for, and with me. So… this post is a little late, but go figure, I just recently found your blog. Thank you for blogging about your experience 🙂 I’m a transgender man and reading about families like yours gives me hope. Thanks again, and I hope that you have places to find your own en-couraging. This blog is FABULOUS! i am a gay college student and as a kid i loved playing with barbies, listening to celine dion and wearing dresses. sadly though i was forced to conform to “boyish” things. i truly feel that being forced to do “masculine” activities as a youth hurt my self esteem, i always felt as though i was being molded by others, (family) told to act in ways that never felt natural. what you are doing is great! don’t let snarky comments from bad sources make you second guess yourself. Hi! 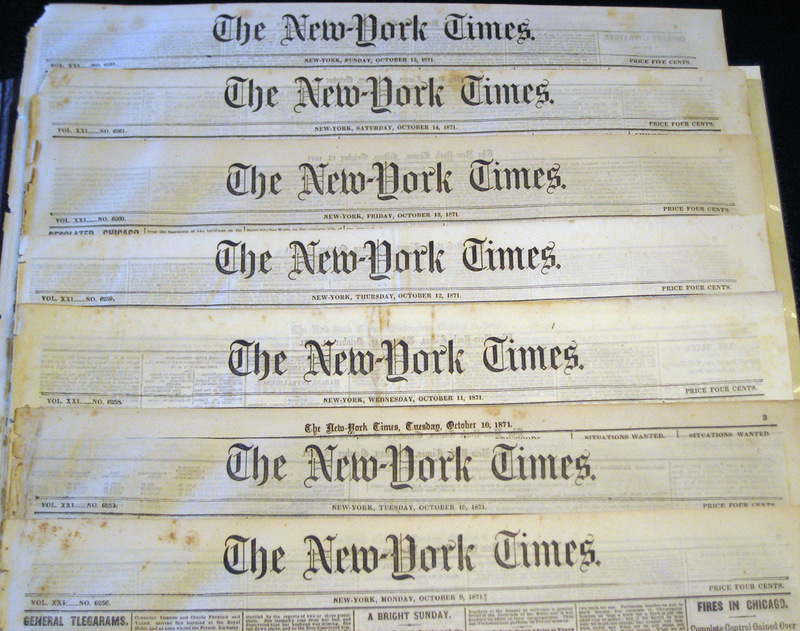 I started reading your blog recently, after I came across the NY Times article. And I’d like to congratulate you on being a wonderful, brave, supportive mother. Way to go! I have a 5 year-old who is plenty creative in all aspects of her life, but not gender. She is, however, very in-tune with her sexuality and at times too advanced for her age. Which, I am sure, is in some ways similar to what you experience with a gender non-conforming child who is also more in-tune with his sexuality than other children his age. However, my question/comment to you is not regarding kids’ sexuality…On a recent trip to NY, my daughter met a gay couple (friends of mine) at a wedding, as well as a distant relative who is also gay. She didn’t ask much about it at the time, but has become more intrigued recently about how two boys can be in love with each other and want to marry. I answer her questions as naturally as possible, so she doesn’t think that one lifestyle is better than the other. As CJ’s mom, how would you like parents to educate their children so that this generation can grow to be more understanding and accepting of each other? And as the mother of a gender-creative and possibly gay son, how do you think other parents should explain homosexuality to their kids and teach them to love others for who they are, regardless of sexual preference? Sounds awful snitty and passive-aggressive to me (and I’ve been reading people’s “voices” on the internet long enough I can tell). Obviously, encouraging involves a certain push, and allowing is more or less hands off. That’s the difference, thank you very much, and I’m pretty sure you’re allowing CJ to do his thing. Also, I love the pattern the glitter foam stickers made. I’d totally wear a shirt with those colours and shapes screenprinted on. Thank you, thank you, thank you! I also am the mother of a gender creative totally fabulous 4 year old boy. My husband and I are both (finally) very supportative of our son but still struggle constantly with my family. I know in my heart that we are doing what is best for him by allowing (and yes ENCOURAGING) him to be the person that he is. Someone just shared your blog with me and it couldn’t be more timely-I was doubting myself, doubting my parenting and fearful for the life of my son after a recent conversation with a (childless) relative I love and whose advice and opinion I trust wholeheartedly. The premise was basically that I should encourage my son to conform (not because he may be gay) but because he may be made fun of. Sameness is safe. Uniqueness should not be celebrated. You have healed my heart and provided the strength that I need to continue to be the mother that my son needs. Thank you again. Hello Jodie, l am so excited to read your comment. I am a mum of a gorgeous 4 year old boy also & it has been more obvious this year that his interests are not the same as most 4 year old boys. I feel so free now allowing him, encouraging him to play with what he wishes, watch the shows he loves best, to wear that barbie ball gown! My stress levels are less. I don’t care anymore what others think & this has brought peace in my life & no doubt in my childs life also. I think he is the best boy around! Encouraging a child to be who they are and be proud of who they are is never, EVER a bad thing. Allow him to make choices. Encourage him to have his own personality, wants, desires, dreams, tastes, flair. There is no normal, but there is too much conformity and entire cultures are built around marketing campaigns that tell us what we should like, wear, eat and buy. He may be swimming against the current, but won’t he be all the stronger for it? I came across a video of Lisa Ling on the OWN network discussing a family’s child who is not just gender nonconforming, but transgendered at the the age of 5 that when I read your post made me think of the video. You may have already seen it, but if not worth a few minutes of your time. I can’t help but think that the “don’t encourage” idea has a misguided idea at it’s core. After all, the only “problem” with encouraging something is if it is bad – either in and of itself, or because of the negative consequences. That if you don’t tell him he’s being different, he’ll never find out. The misguided idea is that if you don’t provide the force to normalize your son, he’s not going to get any messages from the world telling him he’s different, and he’ll grow up being unaware that he’s not behaving in standard ways. Phooey. He’ll get plenty of those messages no matter what. It’s not like he can possibly avoid them. Far from doing him the disservice of not moderating your response to him, by encouraging him in being whoever he chooses to be, unconditionally, you provide one of the few voices in the world balancing all the pressure to conform. I think that when people accuse us of “encouraging” our sons to be feminine they are implying that if we simply didn’t give them that special little nudge, they would be all football-loving and tough. Which is funny when you think about it in the reverse–would a little encouragement make a macho boy want to put on a tutu? It’s a gentle-sounding way of blaming parents for making our sons the way they are. Before having kids I thought that much of who they are is shaped by parenting. But after having two (the girly boy and the girly girl) I realize they just come out how they come out –especially since I’m kind of tomboyish and didn’t “encourage” them to be anything except happy healthy kiddos. The only thing I’ve encouraged them to be is themselves. Which means that I’m also encouraging my son’s more recent interests in Star Wars and Pokemon, typically “boy” interests. Go figure. You’re just encouraging a sweet child to be happy. There’s nothing wrong with that. Allowing our children to be who they are is never a bad thing. On a lesser scale we get these comments based on our parenting of our second son who is highly sensitive (what most people call shy) and had huge emotional dependency needs in comparison to his brothers. He is now more self-assured than the average six year-old and is certainly more self-assured than the average shy kid. People say things according to who *they* are…. I think that society is so gender controlled that a lot of people have the first, knee jerk reaction to discourage their sons if they like anything remotely “girly.” People are so afraid that allowing a boy to play with princesses is going to “make them gay.” I think your blog proves you can’t “make” anyone gay. Kids and people are who they are. Repressing it just makes them feel bad about themselves. You guys are great parents! I came across your blog when Peggy Orenstein linked to it on hers. You don’t write about anything I can relate to. I don’t have any children, or any gay members in my family (that I know of). But I keep coming back because your writing is so engaging. I find myself completely taken by your descriptions of yourself, your husband, CJ, and CJ’s brother. Your experiences would make a fantastic memoir. The subject matter is so important and relevant, and your writing and insights are awesome. I think that if someone like me–who really has nothing in common with what you’re posting–wants to read your blog, you shouldn’t have a hard time finding a broad audience for a memoir. Thanks for sharing! I hope to be such a great mom when my husband and I start our family. Moms should encourage their children to be who they are. Unfortunately, the world will have a hand in discouraging them all too soon. CJ’s mom is not encouraging him to be someone he is not……she is simply letting him be who he IS. I work day in and day out with people who had parents (many well meaning 20-30 years ago) tried to “make” them fit into a certain box. There really are some things as parents that we have to accept as what we have been blessed with. Good job CJ’s mama……..you are on the right road despite the bumpy terrain and lack of guideposts. Dannie’s comment sounds like a not-so-kindc riticism to me. In some photo album stored in my garage there is photo of me as a child that I remember quite vividly. I was 6 years old and had just completed first grade. My younger brother just turned 4; the photo is of both of us holding toys we received to mark this important occasions. He gift was a cowboy gun/holster and hat set, and mine was a Ken doll dressed in brown slacks, white turtleneck and brown houndstooth jacket. I remember that we both got exactly what we wanted, and the smiles on our faces in the photo really show how grateful we are. Were our parents encouraging us in different ways, me to be more effeminate, and him to be masculine? I had toys like a doll house, and tea sets, and other toys that were not so gender specific (the Fisher Price Little People Schoolhouse was probably my absolute favorite! ), and he had a real enthusiasm for tonka trucks and toy cars. I don’t think it was encouraging. I was given the Ken doll and he got the cowboy drag because they understood those things would bring us each the most joy. C. J. chose the tiara because that’s what he wanted. It’s that simple. Letting your son be who he wants to be in play is encouraging him to be secure about himself and happy with who he is. That’s a “good thing,” as Martha would say! Play is just that, it’s play. I think my parents understood that it was not their job to choose what toys we played with or how we played, rather it was their job for them to provide a safe and encouraging place for us to play. I adore your blog; I have been reading it for about 4 months how. I think you are a brave and wonderful family and if I were lucky enough to live next door to you, I would totally have you over tonight for margaritas and home made chicken enchiladas! Hi! I just discovered your blog and I find utterly and completely inspiring and a beautiful example of REAL love, love that is unconiditional and accepting. I am a lesbian woman, happily maarried with a VERY supportive family who always let me know, it was okay to be ME. Your son will appreciate you so much for the way you are choosinig to raise him. I want you to know, you are an awesome mom and am happy that there are people like you out there. 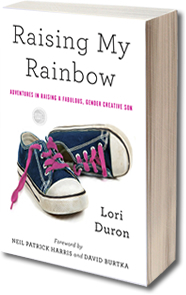 So many stories you hear are about parents trying to change their gender nonconformist children, so it is refreshing to read your words. Thanks for what you’re doing and you’ve found a loyal follower in me! Encouraging is totally different than allowing. For instance, encouraging would be, “You know CJ, you really do want that tiara, don’t you? Isn’t it so pretty?” Allowing would only be saying yes if CJ were to turn around with it and ask if he could have it. I am guessing that Dannie is seeing the simple act of allowing CJ to have the tiara is a form of encouragement, as if telling him no would be a form of non-encouragement, or rather, a form of punishment. The only thing that’s happening is you are encouraging him to be himself which will allow him to grow into the adult he will eventually turn into. Okay, I’m just going to think out loud about this. I’m not sure I’m speaking to anyone in particular… it is a topic that surfaces in different forms a lot when I talk with other parents and I’m still trying to get a handle on it. The first thing that leapt into my mind in response to your question was that “allowing” vs “encouraging” is analogous to “tolerating’ vs. “celebrating” or “embracing”. Like other commenters in this thread, I sensed a judgement on Dannie’s highlighting that line between accept/encourage. When applied to something you disapprove of, the act of “allowing” or “tolerating” it implies you are restraining yourself from doing something unkind even though feel you have every right to do it — like, say, administering a dope slap to the coworker who grazes on everybody else’s snacks in the office fridge. And taking an attitude of forbearance towards my own child on a regular basis over something as core as gender expression and identity seems, um, not as motherly as I’d like to be. Someone who tells me to “accept” (but not encourage!) is asking me to hold back, and hold at arm’s length a big part of who my child is. If you read about or saw “The Sissy Boy Experiment” last week, you might be reminded of how the mom wore an earphone and took instructions to turn away or ignore her son when he approached the girl toys, and only show engagement and affection when you went for the boy toys. Even when the boy became panicked and alarmed at the strange withholding behavior of a mom suddenly robotized. Talk about conditioning and conditional love. Some of the critics of parents supporting their gender-nonconforming kids don’t make a covering demand, they make a conversion demand of our children– just change, NOW, stop being that bad thing you are… or else. But this “allow but don’t encourage” is the softer language of the covering demand (and hoping for a conversion to happen in time as the obnoxious cross gender behavior is “extinguished”). It’s a plea to have our kids make themselves smaller. Because if they don’t they may be noticed hanging around the edges of Us/Our Kind, and will be need to be banished to the category of “Them/Not Our Kind”. But to only apply kind-ness to those who make covering a way of life is just a softer form of cruelty. On the other hand, I love the word encourage. Think of where it comes from: En-courage. You see your child cautiously begin to reveal their authentic self– ever so cautiously at first because they are well aware of what our culture expects of boys and girls, and they fear your judgement. And we have our own fears too, we know the culture at large. (An apt quote from Hairspray comes to mind here: “better brace yourselves for a whole lotta ugly comin’ at you from a never-ending parade of stupid”.) I think when we are in a situation like that it is time to find our own courage, and model it. So yeah, I’ll take “encourage”, and embrace. Caitlin Ryan’s research at The Family Acceptance Project has convinced me that the alternative is more risky. If I squint, I can kinda see Dannie’s point–the charitable reading of it is that he’s using the word “encourage” to mean “pressure”. In which case: yeah, pressuring kids to choose non-gender-conforming toys is not really better than pressuring kids to choose “normal” (i.e. gender-conforming) toys. However, I see you using “encourage” as “en-courage”, i.e. to give courage to. In which case you are following your kid’s lead and giving him the courage to choose what he already wants. Assuming that he doesn’t want something that is actively harmful, that can only be a good thing. I agree with wink here. I think the poster was trying to draw a distinction between “allowing” a behavior (which they took to mean more like how you consider “encouraging”) and “encouraging” it (More in a sense of “pressuring” or “leading to”) in that you were trying to force CJ to be non-conforming. I think a lot of people who don’t understand nonconformity think this way. That you are somehow doing something to Make the child this way. The commenter, I think, did not mean you should not encourage your child, and encourage them to be whoever they want. Rather, I think, they meant you should not encourage them towards a certain lifestyle. Just as the many nonconforming gay people, including many who read your blog, would say they would not like to be Encouraged to be more masculine or feminine or straight. Now I do think that the commenter’s distinction between “encouraging” and “allowing” is a good one. It is wrong to encourage, in the sense of pressure, a child to be someone he/she is not, especially to fulfil some kind if agenda (as pressing a child to be NON-conforming) However I do not think you are in any way encouraging CJ to be anything but himself, which is nothing but good for you and him, and even his brother and dad. Sorry for the page long post haha. I was raised by grandparents who I love deeply, and who I’m sure always wanted what they thought best for me. When I was five years old, they took me to a psychologist office. All I remember is a doctor telling me I needed to speak “stronger” and suppress my excessive gestures. Then she recommended for me to start taking boxing lessons, which I shared with about a half dozen kids as defective and ashamed as me, under the supervision of an instructor “trained” for those cases. It worked or so they thought: my voice became in fact stronger, I became embarrassed of singing, so I didn’t do it anymore, and I never cried again. Wasn’t that great? I also started hitting myself in front of the mirror every time I thought I was doing something wrong, went from an outgoing child to a introverted one and developed a light compulsive behavior. I was never taken to the doctor’s office for those, though. They were actually never noticed. I grew up full of fear and self deprecation, and as a teenager I played with the idea of suicide. My grandparents were so afraid I would eventually “turn” into what they used to fear (which wasn’t mentioned at all), that the idea of letting them down was constantly in my head, because I loved them and didn’t think they deserved such a “disappointment” after being there for me when my parents bailed out. So I remember telling to myself things like: “Well, in my head I can be free”, or “I just have to wait 40 some years and then I will die and it will be over”. You know, teenagers’ thoughts. But it all got better, like they say. I left my country and moved here to the US, where I had the chance to face my true self (encouraged by someone very close to me who noticed my struggle). But I still have fear of being wrong. I don’t tell everyone. I hide it at work. I talk to my Grandma on the phone once a week without letting her know important facts of my life. What I’m trying to say is that, when I read your blog, I wonder how things could had been. The letter from your last post touched me really deep, and I found myself crying while looking at the pictures of C.J. with his father. It feels so good to know somebody has what C.J. has. That is just so heartbreaking what used to be done to all these little boys. Im glad for you that your life has gotten better. Thanks. I’m glad there are people like you and the author of this blog. It makes me happy in a roundabout way. Wow, situation is so similar to mine… Where are you from? I mean before you moved to US. “I also started hitting myself in front of the mirror every time I thought I was doing something wrong, went from an outgoing child to a introverted one and developed a light compulsive behavior.” is like written about me. My life was full of constant fears. And silly teenager thoughts like “at least I’m free in my mind” and “Whatever bad will occur I will always have an option to stop living” that sometimes made me feel better. But the difference is that my father has always hated and bullied me until my 14th birthday when he left us in peace. He thought that I wasn’t manly enough; and he was ultra-homophobe, full of groundless hatred towards them – so even my little effeminacy he considered the greatest crime. As if I had a choice. P.S. : sorry for my terrible English. I’m sorry that you had to go through something similar, and I’m glad that, like in my case, now it is just a sad story to tell and remember. I am from Cuba. We do have a mountain of Action Man, Lego, Thomas, cars, etc, but l have stopped that. I don’t bother stopping at Thomas the tank engine or Lego anymore as my little one is just not interested… My little one drags me over to the Barbie section or to check out the Dora dolls. I buy him toys that l know he loves & asks for. I allow & encourage. I try to give him confidence to wear those bracelets, carry that doll. His interests may change, but they may not. So my aim as well as my husbands is to build him up so that he knows its ok to like what he likes, even if someone else in the playground disagrees. Ultimately our aim is for him to be happy, just the way he is. Anyway, l gotta go. He wants me to play Barbies! I think Dannie is missing the point. It’s not as if you dressed cj up in pink from the day he was born. You are encouraging him to he confident in his choices, and allowing him to make his own choices. Having a son so similar to yours I know we did nothing to encourage his initial love of everything princess and pink. He came to this love on his own and we support him. I can’t say I’m skipping up and down the barbie/princess aisles at target, but do I occasionally buy him a new barbie? Yes. Continue on CJs mom! I can only guess at what Dannie meant, but there is nothing wrong with encouraging your son to be true to himself. I don’t really see why that commenter was so upset– would it be better if CJ chose a gun to play with? When I was a kid, I was sometimes ALLOWED to play with my sister’s dollhouse but I was ENCOURAGED to play with trucks. It made no difference– I was already who I am and toy choices wouldn’t have changed anything. I think what this really comes down to is the foolhardy idea that your gender identity can be changed. P.S. I actually liked playing with the trucks just as much as I liked playing with the dollhouse. Why couldn’t I have both? I agree cjs dad is an amazing dad who loves his child the way he should love him….unconditionally for the person he is. Having raised a ‘bunch’ of kids I can give my ‘sage’ advice. (That means my four adult children grew up to be happy and fairly well-adjusted so I may or may not know what I’m talking about.) I allowed my children to be who they were, not who I wanted them to be or who I thought they ought to be but who they actually were – at least I did my best. And I encouraged them to try things they were interested in trying and do things they were interested in doing. Once again, not things I wanted them to try or do. I’m raising my ‘bonus kid’ the same way. She naturally likes much girlier things than I ever did, she spends ages fiddling with her hair and choosing her clothes. So I let her do what seems to come naturally. So I’d say allowing and encouraging are both important in raising happy, healthy humans. Now was Dannie implying she thinks you ‘encourage’ C.J. to choose tiaras and like pink, sparkly things? I don’t know and frankly, I don’t care, because I don’t think it matters. A parent can lead a child towards certain types of toys and activities but the child, if given any choice at all, will play and pay attention to that which he/she is interested. You’re doing a great job. All children who don’t conform to gender ‘norms’ deserve to have a mom like you.Happy Father’s Day to C.J.s dad!